Many thanks to my pal Richie in introducing me to this card. I noticed it because of its unique baby blue edge and it was one of the first EMV Chip and PIN cards, also I creep up on what most other people use to pay and ask them why they put their purchases on that card. Richie is a big fan of the card because of its unique awards structure or earning 2 miles for every $1 and then you can redeem 2,500 miles for $25 back in statement credits on travel. Then they throw 10% miles back at you. Barclay is a London company that is new in town, and because it is new to the American Credit Card world they have been doing drastic promotions to get them to use them. First off they are the only other company besides American Express that will fully waive its annual fee for new accounts opened after joining the military. The card has an $89 annual fee that is waived for the first year. All other companies such as Citi and Chase have been very clear to me that they only wave fees for cards opened prior to military service, but with enough negotiation they usually settle on a statement credit or free miles to string you along. More on annual fees in another post. 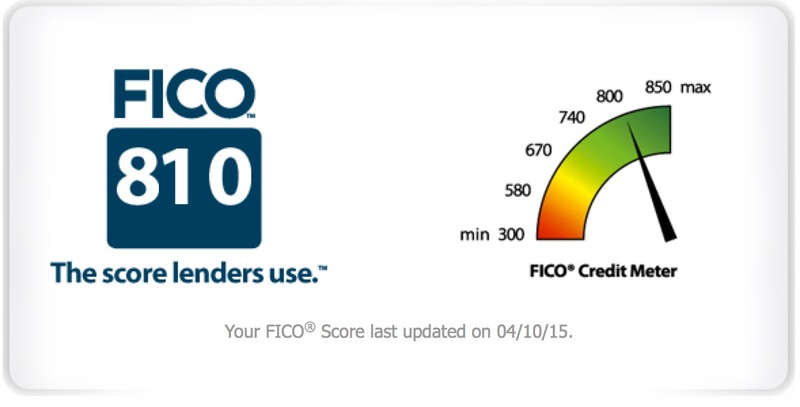 First unique point is Barclay Arrival Plus will give you a FICO score with graph that updates about every two months. The major concern with new churners is that these hard credit inquiries will diminish your score, which is true, but over the long run the expanded credit will decrease your utilization and if you keep the accounts open you will have an overall rise in credit score. Second unique thing is the free Trip it Pro account! For those not familiar with Trip it its a management program that tracks all your travel itinerary emails and arranges them into an easy to read website, phone app, and is a tracker for gate locations and delays. This service is usually $49 a year. It also has a place to track all your award program balances. I’ve had a Trip it Account for years and they let me upgrade to PRO for free! So this card is very much like the American Express Platinum card in my daily usage. I got the initial 40,000 miles and have yet to use the miles. I just keep the card around for the FICO score, Tripit and the points tracking. 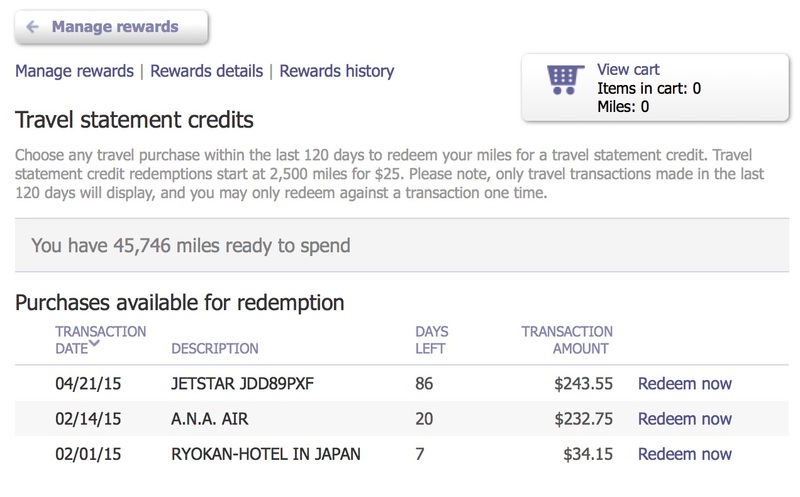 But it is a promising card, when you go and redeem the miles, its like an online store experience, you add the travel expenses in a card and check out with miles to pay for them. You can apply the credit to all flights and hotels, even the many small companies that Service Okinawa like JetStar and Peach. So if you want a single travel card, and you travel on many airlines this is a good card, and if you don’t, then why not a cash back card like Amex Blue Cash.